The Timex Social Club was an American contemporary R&B group, formed in 1982. The group is perhaps best known for its 1986 hit single, “Rumors” and for being major forerunners of the new jack swing movement. Originally known as the Timex Crew, members included Marcus Thompson (founder), Gregory “Greg B” Thomas, Michael Marshall, Craig Samuel and Darrien Cleage. By 1986, Samuel, Cleage and Thomas had departed, and both Alex Hill and Kevin Moore were added to complete the group, and the name Timex Social Club was adopted. They specialized in both old school hip hop and the merger of urban R&B with hip hop rhythms, which were later known as new jack swing. In 1986, the group released the Vicious Rumors album on Danya/Fantasy Records. It had one major hit, “Rumors”, which peaked at #8 on the Billboard Hot 100. The single also reached #1 in Canada and #13 in the UK Singles Chart, and held the number 1 position for: US Billboard R&B chart, Hot Black Singles-Sales, Hot Black Singles-Airplay, US Hot Dance Club Play, Hot Dance/Disco-12 inch singles sales charts. 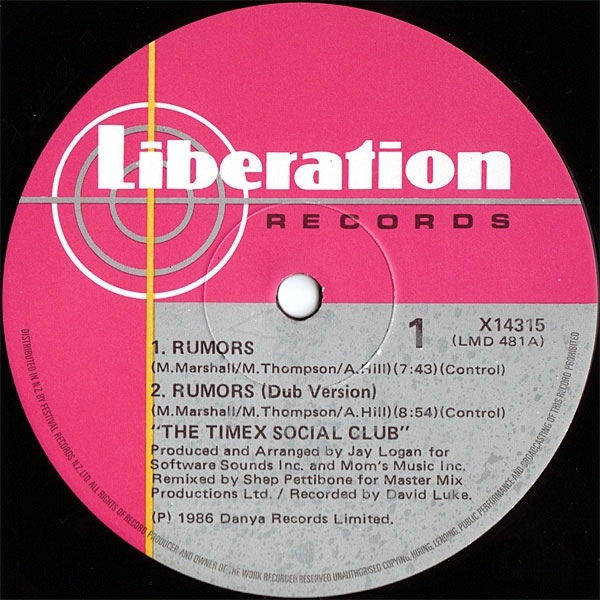 The New Zealand 12″ single of “Rumors” included the rare extended Shep Pettibone Dub version. Climie Fisher were a UK pop duo formed by vocalist Simon Climie (born 1957) and former Naked Eyes keyboardist Rob Fisher (5 November 1956 – 25 August 1999). 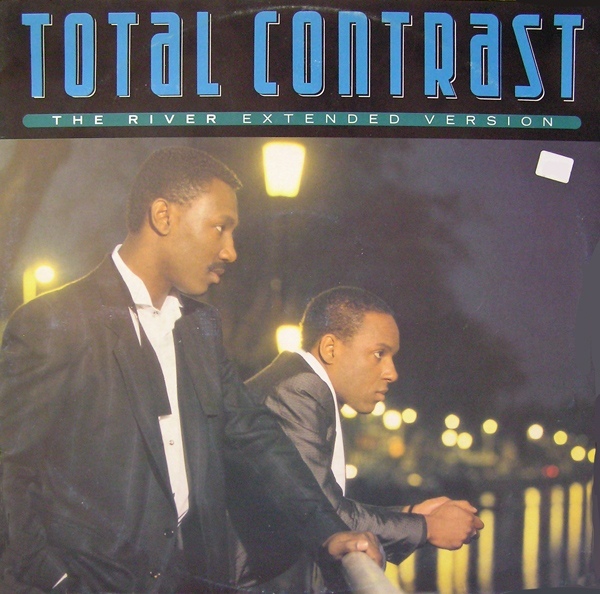 In 1987-8, they had two international hit singles: “Rise to the Occasion” and “Love Changes (Everything)”. 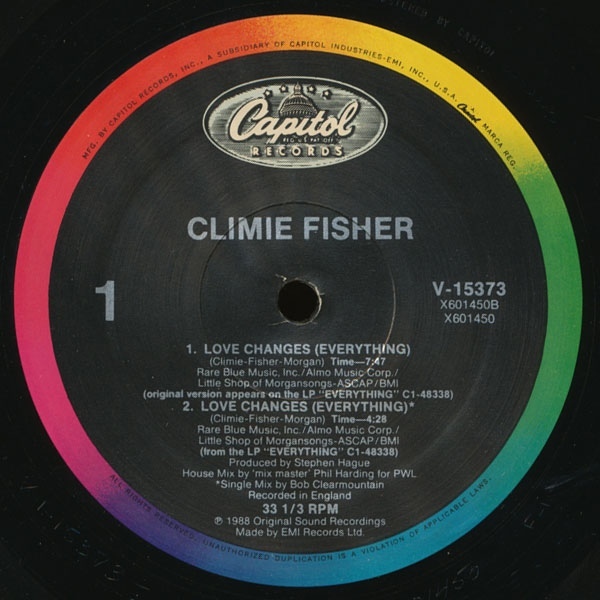 Climie Fisher wrote “Love Changes Everything” thinking that Rod Stewart could sing it, but Stewart turned it down and they released the song in 1987. Initially it received poor sales and airplay, reaching #67 in the UK and #30 in The Netherlands. After the success of “Rise to the Occasion”, the song was re-released with a slight remix by Bob Clearmountain in 1988, and reached #2 in the UK. It was kept off the top spot by the Pet Shop Boys song “Heart”. “Love Changes (Everything)” also reached #2 in South Africa, #7 in Germany, #8 in Switzerland, #15 in Austria, #23 in Australia, #23 in the US Hot 100 and Top 20 on the U.S. Dance Music/Club Play Singles and Adult Contemporary charts. The US 12″ single featured the House Mix by Phil Harding and the Dance Mix by Stephen Hague. 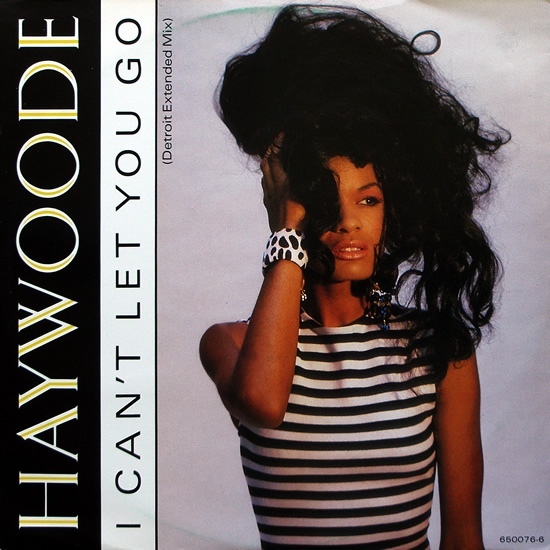 Haywoode (Sidney Haywoode, London) is an English female singer. She is best known for the 1986 UK Top 20 hit single, “Roses”. She later also recorded under the name Sid Haywoode. Her debut single, “A Time Like This”, reached the Top 5 in the US Hot Dance Club Play Chart in 1983, and established her distinctive brand of soulful funk/pop. Via a succession of singles – including a couple of tracks produced by Stock, Aitken & Waterman, “You’d Better Not Fool Around”, “I Can’t Let You Go” and “Getting Closer” later on covered by Kylie Minogue. In July 1986 with the song “Roses” she hit the top 20 in the UK music charts. Her debut album Arrival (released soon after “Roses”) included Haywoode’s cover version of Prince’s “I Wanna Be Your Lover”. “I Can’t Let You Go” would originally go to #63 on the UK Charts in 1984 but the Detroit Remix re-recording in 1986 would reach #50. In the mid 1980s, they scored several hits on the US Hot Dance Music/Club Play chart, including “Takes a Little Time,” which hit #1 in 1985. In their homeland, the same song, reached number 17 in the UK Singles Chart. Further releases included “Hit and Run”, a minor hit which reached #41 in the UK in 1985, “The River” which peaked at #44 UK in early 1986, and “What You Gonna Do About It” peaking at #63 in the summer of 1986. The latter track was also featured on the band’s 1986 self-titled album. They recorded on London Records. “The River” was mixed by Nick Rodgers & Steve Harvey and “Takes A Little Time” was remixed by Michael Brauer. 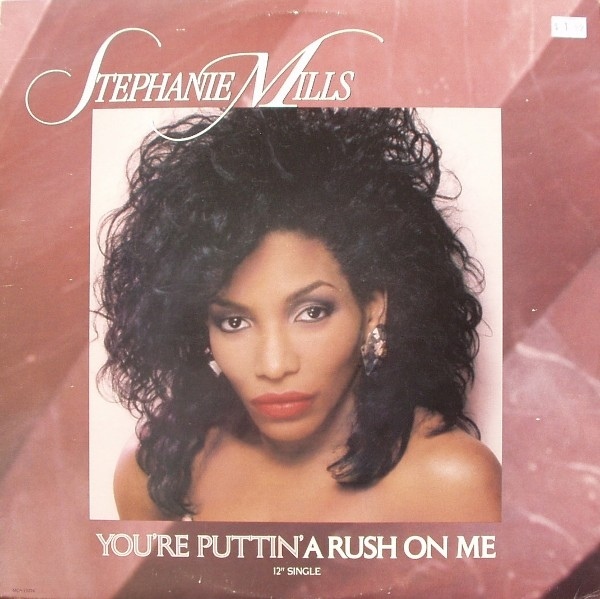 “(You’re Puttin’) A Rush on Me” is a 1987 single by American singer Stephanie Mills. The single was her third number one on the Hot Black Singles chart and second number one in 1987. The single spent one week at the top spot and crossed over to the Billboard Hot 100, peaking at number eighty-five. “(You’re Puttin’) A Rush on Me” also peaked at number twenty-three on the dance charts. 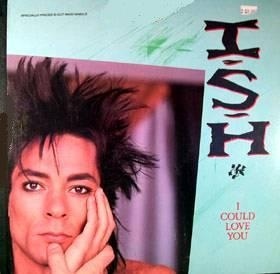 Written by Paul Laurence (Freddie Jackson/Lillo Thomas/Evelyn “Champagne” King/Meli’sa Morgan) and Timmy Allen (Change/Millie Jackson/Lillo Thomas), the US 12″ featured a range of mixes by Louil Silas Jr.
Ismael Angel Ledesma (born October 2, 1952) professionally known as Ish Ledesma is a Miami-based singer, songwriter, musician, and producer. Ledesma has fronted, written for, or produced hits for the bands Foxy, Oxo, and Company B. Both Oxo and Company B were one-hit wonders in the US, with respective hits “Whirly Girl” and “Fascinated”; Foxy released several albums and singles, including the number one R&B hit “Get Off”. Ish Ledesma had embarked on a solo career in 1979, releasing his own self-titled debut on T.K. Records. The album featured a hit with the release of the 12″ single, “Don’t Stop.” Ledesma would release a second solo album in 1986 called On This Corner on Geffen/Warner Bros. Records, which was produced by John Robie. Ledesma spent the years between the solo releases doing studio appearances as a session artist, and expanding his endeavors into production aspects. He is credited on Abba’s Voulez Vous, Miami Sound Machine’s “Bad Boy,” Latimore’s “Goodbye Heartaches,” and Fred Schneider’s “Monster”. James Dixon Swan (born 28 April 1956), better known as Jimmy Barnes, is a Scottish-born Australian rock singer-songwriter. His father, Jim Swan, was a prizefighter and his older brother John Swan also works as a rock singer. It was actually John who had encouraged and taught Jim how to sing as he wasn’t really interested at the time. His career both as a solo performer and as the lead vocalist with the rock band Cold Chisel has made him one of the most popular and best-selling Australian music artists of all time. 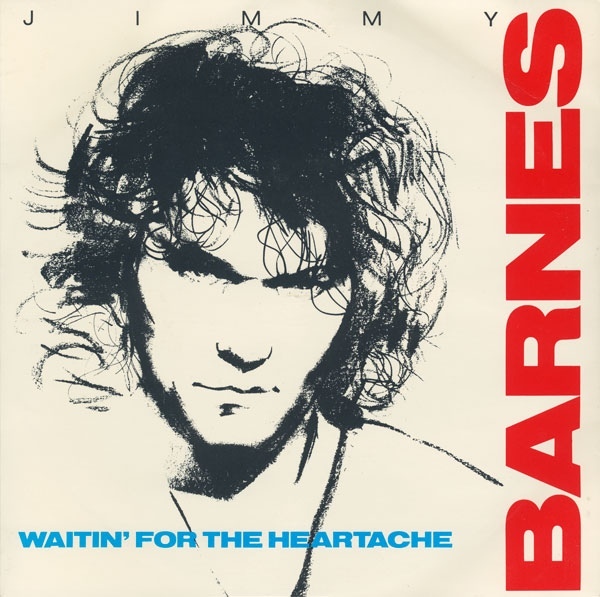 In 1987, Jimmy Barnes released the album “Freight Train Heart”, which featured contributions from a range of US musicians including Huey Lewis, Journey members Randy Jackson and Neal Schon and former Babys and Rod Stewart drummer Tony Brock, who would later accompany Barnes on tour. The recording process was deeply problematic however, as Barnes fought with producer Jonathan Cain over artistic control and Geffen Records wanted to feature a solo by Robert Cray in the track “Too Much Ain’t Enough Love” in place of the one laid down by Schon. In the end, Barnes claimed the masters and returned to Sydney to rework the recording with English producer Mike Stone. Most of the songs were remixed, with parts added by Peter Kekell, Rick Brewster from The Angels, and Johnny Diesel, the 20-year-old guitarist and frontman of Perth band Johnny Diesel and the Injectors, who had just begun to make a name for themselves. Jon Farriss from INXS and ex-Angels bassist Chris Bailey also played on the album. The album spent 5 weeks at the top of the Australian Album charts in Dec 1987 / Jan 1988. Most of the tracks were written by Barnes and producer Jonathan Cain, however “Waitin’ for the Heartache” was co-written by Barnes and Desmond Child and for the single release was remixed by Desmond Child. “Seven Days” was a Ron Wood track originally written for him by Bob Dylan. This was the last song recorded for the album, and features INXS drummer Jon Farriss, bassist Chris Bailey and Rick Brewster from The Angels. “Seven Days” was remixed by Bob Clearmountain for the “American Mix”. 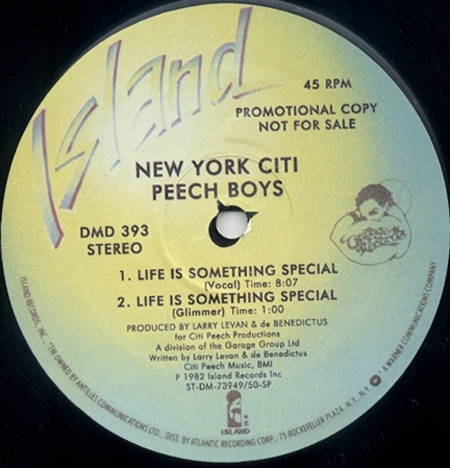 The Peech Boys, also known as the New York Citi Peech Boys or NYC Peech Boys, were a band that comprised Bernard Fowler, Steven Brown, Robert Kasper, Darryl Short, Larry Levan and Michael de Benedictus. The group formed at the Paradise Garage, being influenced by Larry Levan. They only released four 12″ discs with “On a Journey” peaking at #56 in the 1983 US Hot R&B/Hip-Hop Songs chart. However, they are most known for their 1981 song “Don’t Make Me Wait”, which was one of the early hits in the New York house/garage scene, due to Levan’s playing it at the Paradise Garage. “Don’t Make Me Wait” was their only UK Singles Chart entry, peaking at #49 in November 1982. They were signed to the West End Records label, but in 1984 they split up. The follow-up single to “Don’t Make Me Wait” was “Life Is Something Special”, the track was written and produced by Larry Levan and Michael de Benedictus. Stephan Remmler (born 25 October 1946) is one of three members of the German band Trio. He performed most of the vocals for the band’s songs. He was a member of the band alongside Gert Krawinkel, who played the guitar, and Peter Behrens, who played the drums. After the split of Trio in 1986, Remmler continued his musical career as solo artist, releasing various singles and albums until 1996. His work contains Schlager and drinking songs as well. His biggest hits were Keine Sterne in Athen (1986, released in English as I Don’t Go to U.S.A. in 1987) and Alles hat ein Ende (nur die Wurst hat zwei) in 1987. His 1990s releases did tend more to rock music. Remmler left the music business in 1996 and took a ten-year break before his comeback in 2006. 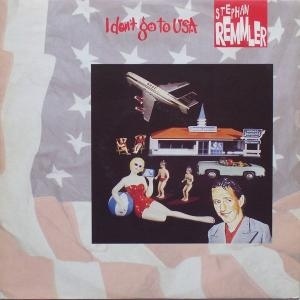 “I Don’t Go To USA” was mixed by Peter Hammond and remixed by Stock/Aitken/Waterman. 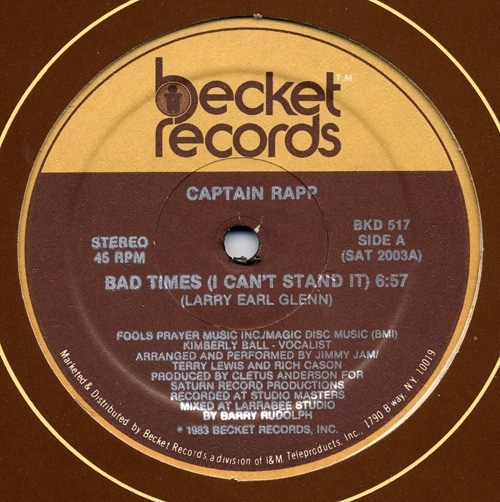 Captain Rapp is the stage name of Larry Earl Glenn, an American hip hop/post-disco musician, producer and West Coast Rap pioneer. Glenn’s musical career started in 1981 when he was signed to a small indie label called Rappers Rapp Disco Record Company. His first record, party-oriented, “Gigolo Rapp” was a minor hit on the East Coast yet the record failed in his home state. In 1983, his most successful single “Bad Times” came out on Saturn Records and reached number 23 on Billboard Dance Charts. The single was arranged and performed by emerging Contemporary R&B moguls Jimmy Jam and Terry Lewis, with Rich Cason. “Bad Times” lyrically touches sensitive topic, including unemployment, child sexual abuse, AIDS, Salvadoran Civil War and even nuclear war, in contrast to uptempo synth-funk melody and soulful vocals. The song is a West Coast variant of “The Message” whereas the title is lampooning a name of the most sampled song in hip-hop history, “Good Times” by Chic.